I attended the Rickmansworth Writers Group for the second time on 2nd March 2014. A 10 minute writing exercise (taking inspiration from a set of scenarios all based on dialogue). The reading-sharing-critiquing of written works by members of the group. The first task on the agenda had been a ten minute ‘warm-up’ writing exercise, taking inspiration from a set of scenarios based on dialogue – as listed below. These were adapted (by Mike) from Zoe Fairburns, Write Short Stories – and Get Them Published (Hodder Education, 2011). 1. Write a conversation between two people, with a character whose way of countering loneliness is phoning up a call centre and engaging the listener in conversation. 2. Write a conversation between yourself now and when you were half your current age. Be aware of how language and attitude differs. 3. Write the final conversation between two people (end of business arrangement, a friendship, a romance?). Let their feelings show. 4. The “cold call”: One person is trying to persuade another person. (Doesn’t have to be selling a consumer product). The pair have never met before. Write their dialogue. 5. Write a conversation between a carer and a person being cared for. Make use of (subtle or unsubtle) conflict and tension. The goal had been to produce a free write narrative, a poem, a flash fiction, a short story – or any other literary form that had inspired us at that moment. I had chosen scenario number 1. I had created a screenplay / dialogue piece / telephone conversation between two characters. Here is ‘Phone Call’ – which was edited following the writing meeting. The phone rings. The call centre guy reads an outside line on the display. He thinks it is unusual that a member of the public has managed to get through to his line directly. Telephone numbers were never advertised, and all outbound calls were marked ‘unknown’ – so that customers were unable to return calls. He picks up the receiver. – Hello. C… c… c… can I speak with Alan Davison please? – Hello. This is Alan Davison speaking. May I ask who is calling please? – Not just yet. I do have a good reason to call you. I called to tell you that I am lonely. I have been lonely for years – I know you are the person to wash my loneliness away. – I’m sorry Sir, but we are unable to provide professional support. We sell car insurance. Can I suggest you call the Samaritans? – The Samaritans cannot help me like you can, Alan. – Excuse me? Who is this speaking? – It’s your b… b…brother. Luke. I guess you were never told about me, right? – Sorry Sir, I think you may have the wrong number? – I know this is a shock. I know you will never believe my words over the telephone – how about we meet? – I don’t think that is a good idea, Sir. Is there anything else we can help you with today? – Yes. Meet me tomorrow morning, outside your work building. Say, eleven? – I’m afraid that won’t be possible Sir. – Then if you are unwilling to cooperate, I suggest you look me up on Facebook to prove the situation. – How will that prove anything? – Because we are identical twins. Following the ten minute exercise, we were given a worksheet detailing what can be shown through dialogue. This was adapted (by Mike) from Zoe Fairburns, Write Short Stories – and Get Them Published (Hodder Education, 2011). In a story, direct speech benefits from fizz, sparkle, movement and a sense of “conflict” between people. Aim to make it obvious who is speaking from the dialogue itself, so the reader / listener doesn’t become confused. Otherwise best to use “he said” or “she said”. Good to practice to avoid resorting to melodramatic speech verbs to make the dialogue seem more interesting e.g. “he exclaimed”. A better technique is to put the drama into the dialogue itself. Similarly, good practice to avoid relying on explanatory adverbs – “he said shyly”. Let the words speak for themselves. In real life people often rely on stock phrases, repeat words, talk in circles – you can make use of this, but in a story you can do so more sparingly (rather than wear out a reader’s / listener’s patience and interest). Relationships between people – Affection or insult. Formal or Informal. Tact or Aggression. Condescension or Respect. Origins – National, regional, class differences (avoid stereotypes though). Age – 7, 17, 47, 87 year olds all speak differently. Teenage slang words vs. old-fashioned terms. More limited or richer vocabulary. Rambling vs. speed of communication. Attitude to “conversation” – Interrupters, sentence finishers, contradictors, ignorers, avoiders, or people who turn the topic of conversation back to themselves. Attitude to “self” – Trailing off and not finishing sentences. Checking with the listener that they agree – “do you know what I mean”. “Obsessions” – Using repeated phrases, recycling favourite topics. Obsessions can be significant or mild. “Lies” – Evading answers Exaggerating. Excluding information. Providing excess, unconvincing detail. In addition to discussing the points on the worksheet, the group also covered other aspects on the subject of dialogue. Pacing – how shorter speech can speed up a piece of writing; and longer speech can slow down the pace of writing – all depending on the effect the writer wants to create. Overheard conversations – one member of the group had recommended using a notebook to capture snippets of conversation. I informed the group that lyricist Michael Stipe (of music band, R.E.M) undertook this practice regularly for his song writing – and that many snippets can be heard in the lyrics of their songs and in the title of the band’s albums. Automatic for the People was apparently a phrase that Michael overheard in a restaurant – when the waiter had advised customers that food was ‘automatic for the people’ (as in self service). One character completing another character sentence for them – how often do we struggle to find the last word we want to use in a sentence – and in the time it has taken to think of the word, someone else has found it for us? I know I do this quite often – especially so on tired days when my brain is still in sleep-mode. Action and setting – rather than have your characters just talk it out, have them continue with their actions and task – have them move around – let them connect with their environment. Remember, nothing is still in drama – even if the character is seated at a table – he is bound to be flicking a cigarette, swirling a cup of coffee or yawning. My flash fiction ‘Freedom’ was critiqued by the group. The reaction to this story was mixed; some having loved it to the point of wanting to pin it on their wall, while some curled away from it due to its minor horror / dark / pain content. This led me to think about the horror genre and how people can feel and react to it so differently. Before I dig deeper into the discussion that took place, I will start by adding, that I wrote this piece after a very tired day at work. It was one of those days when my body and mind was exhausted, yet was also in a kind of thoughtful and reflective state. I had arrived home and questioned life and it’s routine – I’d asked myself ‘was there really any escape and ultimate freedom in this life, from work, from repeated pattern?’ Now, please don’t get me wrong, I love life and I love my routine, but on that particular day I was completely worn-out and thinking how nice it would be to stay in a position of freedom forever. And so I decided to allow all of these emotions evolve into a story. When the group began to discuss the story, the first word that came up was ‘pain’. One writer seemed to recoil at the idea of pain and blood, and the need to have to experience this to achieve her ultimate freedom. Another writer explained that he did not think the themes were horrific in the slightest – that we are all born into this world in pain, with blood – and that the themes are a normal part of our existence. It was very interesting to see the in-depth take on themes of the story – because originally, to me, the story was one that that had only expressed ‘escape’ – nothing else. 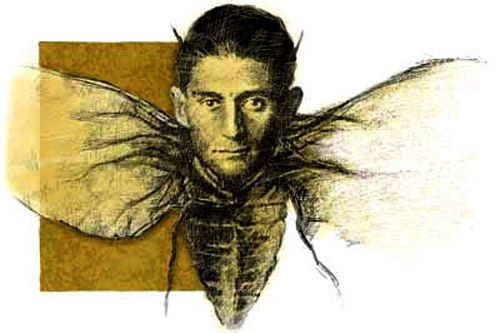 Some writers found the story Kafka-like and dreamlike – the fact that everything the character experiences does not possess full evidence of it actually happening– for instance, the writing just appears on the mirror – she does not see anyone or anything write it. This questioned the reliability of the story and the integrity of the characters mind. A writer had also mentioned the actual structure of the story. He liked how the story was split into two parts – the first part, the beginning, is where we live the characters’ dreams – and the second part, the ending, is where the dreams are played out and we experience them with her. This also led on to specific word-use in the story. Words such as ‘scrawled’ had a menacing, insidious feel – adding to the horror of the story. Some writers had mentioned the symbolism in the story – that bathing was a means to cleanse the soul – the perfect setting for the ultimate cleansing of her life. The next piece of work to be critiqued was a poem written by another writer. The title was called ‘Critique for the Day’. This had a fairy-tale quality and structure, which was nicely fused with darker words and themes of the piece. The writer had confessed after the discussion, that is was an autobiographical piece that came to be written because he always found himself concerned with his own thoughts – and how much they could be portrayed by others if he were to share them. A comment was made by another writer (before the writer confessed) that we ‘all assume the protagonist was human – when it could have in fact been about an ice-cube or an insect.’ There was nothing to assume the subject was human actually – and so this thought led me into thinking about the wonderful world of animation. The last critique was on a poem – a selection of observations that all occurred to people at the same moment in time – lunchtime. I had commented on the humour which mostly occurred in the habits of the characters during their meal break. It made me think about comedy and how humour may be at its best when we hear or read about habits and moments that we all have in common but rarely share with each other. I also mentioned that the story reminded me of CCTV – a camera moving around on all the characters at the same moment in time – in my mind I pictured a series of moving pictures. It was asked if all the characters were related, and I guess all the readers were expecting some final answer in the story to show that they were. In the end it was revealed the only way they were related was in the essence of time. This was kind of difficult for me to grasp, being a writer of stories – and I guess I have to learn to accept that some pieces are not always stories – but are there to exist purely as themes, emotions, thoughts, concepts and rhythms. Dylan Thomas’ Under Milk Wood was mentioned as being the inspiration behind the poem. The writer had commented that it had been his goal to capture the minute details of everyday life, just like Dylan had. I think this concept of ‘minute detail’ is a brilliant tool for flash fiction. I believe one minute detail (whether it be an object in the setting, the habit of a character) can light up a story like a lightning storm. I hope you found some of the ideas in this month’s write-up inspiring. I am loving these sessions – they are certainly opening up my mind to new ways of thinking and seeing things – as a writer and a reader. Until next time, happy reading and writing! Today I have given my ‘Alittlebirdtweets’ Facebook page some much needed love and attention! Up until now, it only received updates via ‘automatic links from posts’ that I made on my blog. But, now I intend to visit this page once a week, with something new to sit alongside these links; whether it be a rambling of my days events, or a newly-discovered inspiration. I have created a new photo album on my Facebook page titled ‘Photo Flashes’; which will serve as an inspirational gallery for my writings, and also provide readers with a visual insight into the type of things that I ‘see’ when I write. I will likely add a comment of reference to each photo to help explain the reason for its inspiration. If you would like to follow my ‘Photo Flashes’ album, or any other updates made on my page then please use the following link to ‘like’ my page. I am always on the lookout for new visual material to spark-off a new story in me. If you have any images that you think I’d like, then please get in touch. Or, if you’d like me to attempt a flash fiction based on a photo then let me know and I’ll see what I can come up with! Wishing you all a wonderful and inspirational weekend! My book reviews, quit & sewing projects, and notes from travelling. Because we couldn't fit it on one page.